Patterned after many of the home made cars found on logging line and branch line around the country. 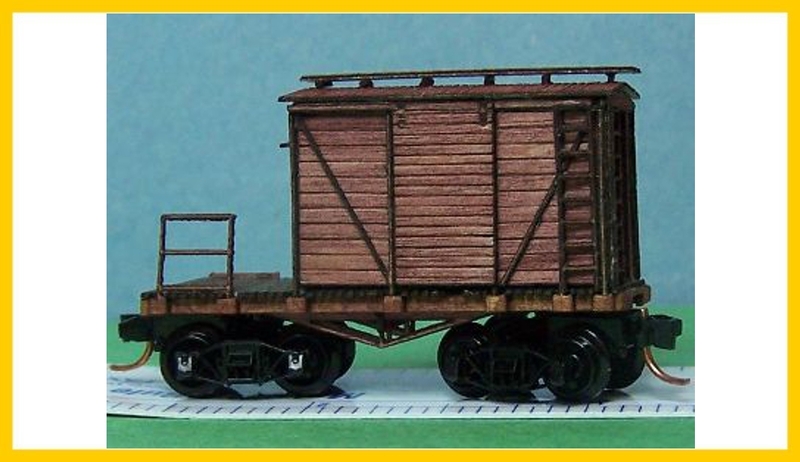 They had a small shack built on a flat car for storage and were even used as freight cars for small loads. Kit is light ply and laserboard construction less trucks and couplers. Takes Micro trains trucks with short extension couplers.